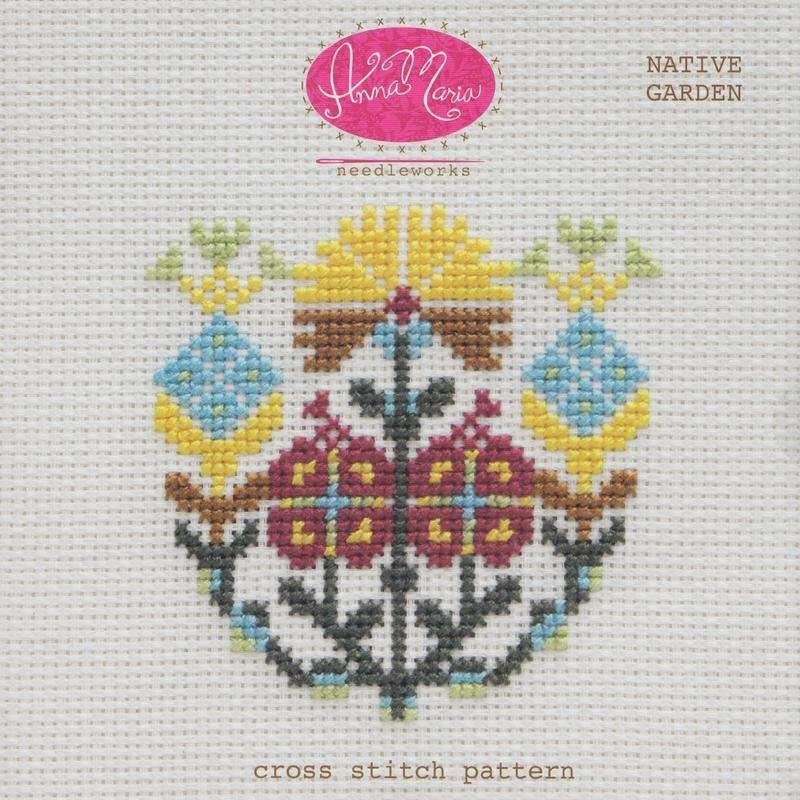 With this cross stitch pattern you have the choice of following the motif by looking at a color coded chart, or by looking at a symbol coded chart - making your stitching time simple and enjoyable! The Native Garden motif measures 44 stitches high and 45 stitches wide. Finished height and width will be dependent on the particular cloth that you choose to complete the stitching. While you can choose any six colors of floss, my recommended floss colors are included, and more cross stitch tips are on the inner cover.